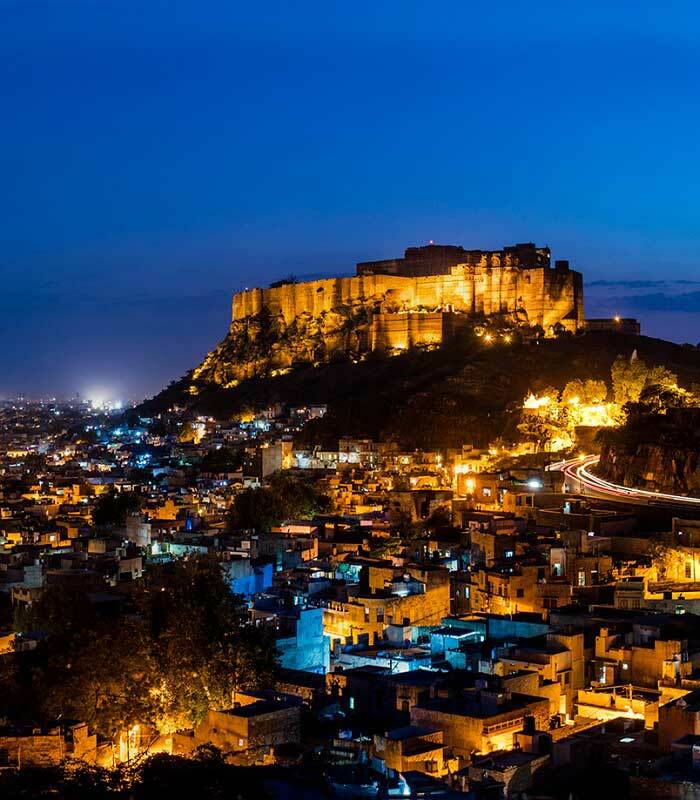 A tour of Jodhpur and Jaisalmer is rated one of the best desert holidays in India. Here we start our journey from Blue city Jodhpur and finish at Golden City Jaisalmer. Below we have mentioned day by day tour itinerary of this four days Jodhpur Jaisalmer Tour Package. Kindly have a look. AC Cab with driver will be assigned for 4 days. After an hour or 2 rest, half day sightseeing tour of Jodhpur. You will visit Mehrangarh Fort, Jaswant Thada & free walk local markets. Drop at the hotel by Night. Morning breakfast will be complimentary at the hotel. Visit The Umaid Bhawan Palace and drive towards Jaisalmer after lunch. Optional sites to see on route: Oisan Mata Temple, Ramdevara Temple & Pokhran. Check in at the booked hotel in Jaisalmer by dinner time. Morning breakfast will be complimentary from the Hotel. After lunch, you will visit Bada Bagh and Vyaas Chatri. Desert Safari at Sam sand dune, along with a stay in a desert camp. Complimentary dinner, breakfast & musical dance program at Camp. Checkout from Desert Camp by 9 AM. Back to Jaisalmer City and have a free walk near Gadisar Lake. And by evening, drop at Jaisalmer Railway Station which finishes this four days Jodhpur Jaisalmer Holiday.